Graduating Class of 1968 on the steps of the Lecture Hall immediately after the ceremony. 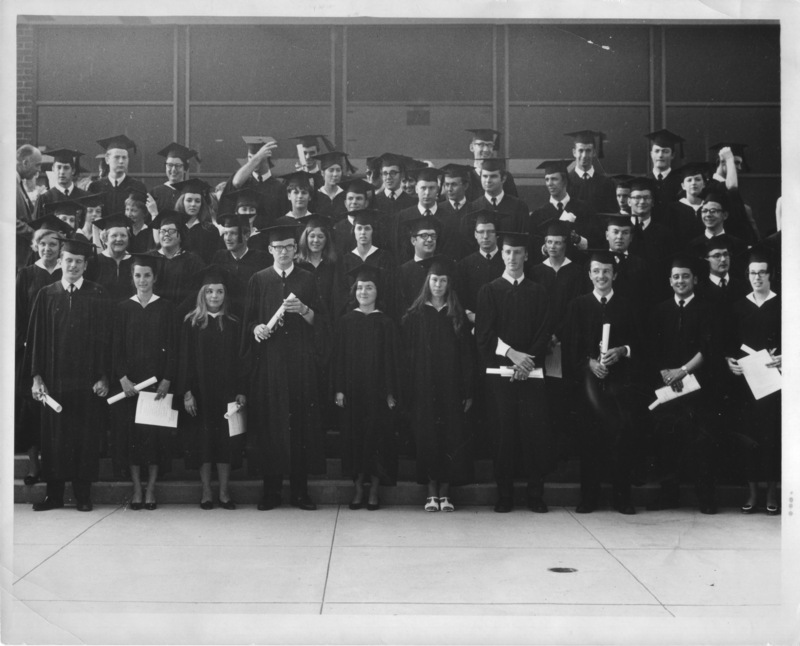 Fifty-two graduates participated in the first Commencement for George Mason College as a four-year institution on June 9, 1968. 8" x 10" photograph print; black and white. Citation: unknown, “First graduating class, George Mason College, June 9, 1968,” A History of George Mason University, accessed April 24, 2019, http://ahistoryofmason.gmu.edu/items/show/132.